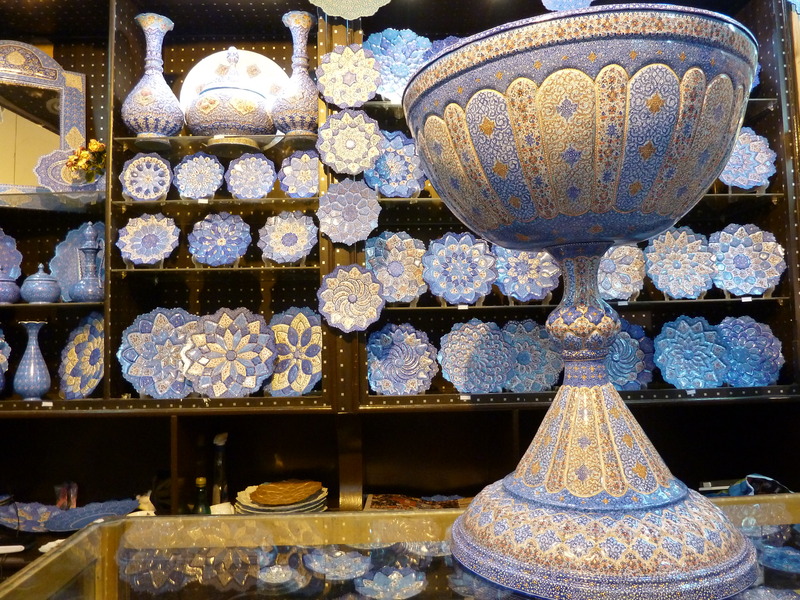 These beautiful bowls, plates and vase are made in Esfahan, central part of Iran. This special blue colour is a national colour. 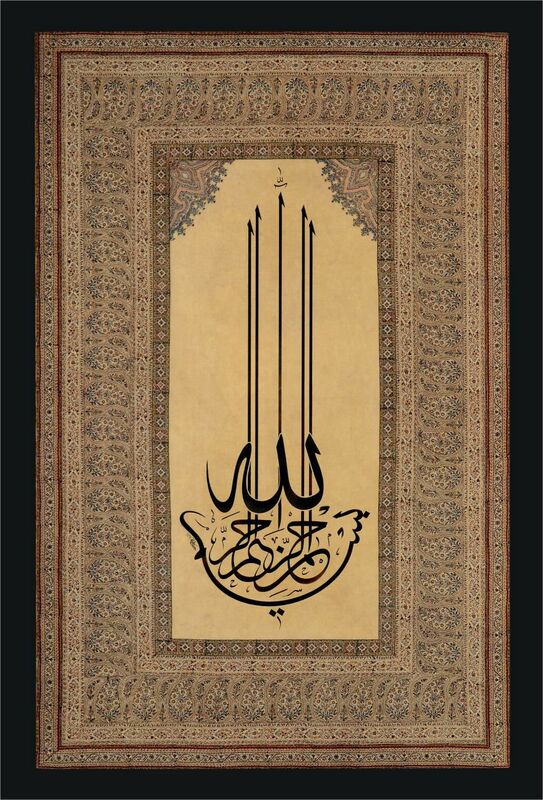 Khātam is a Persian version of marquetry, art forms made by decorating the surface of wooden articles with delicate pieces of wood, bone and metal precisely-cut geometrical shapes. 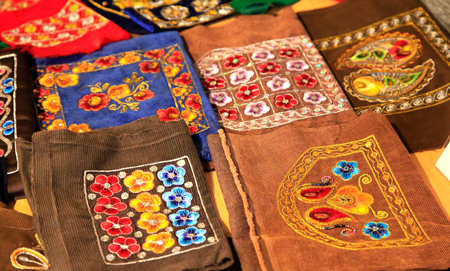 Khatam kari is the art of crafting a Khatam. 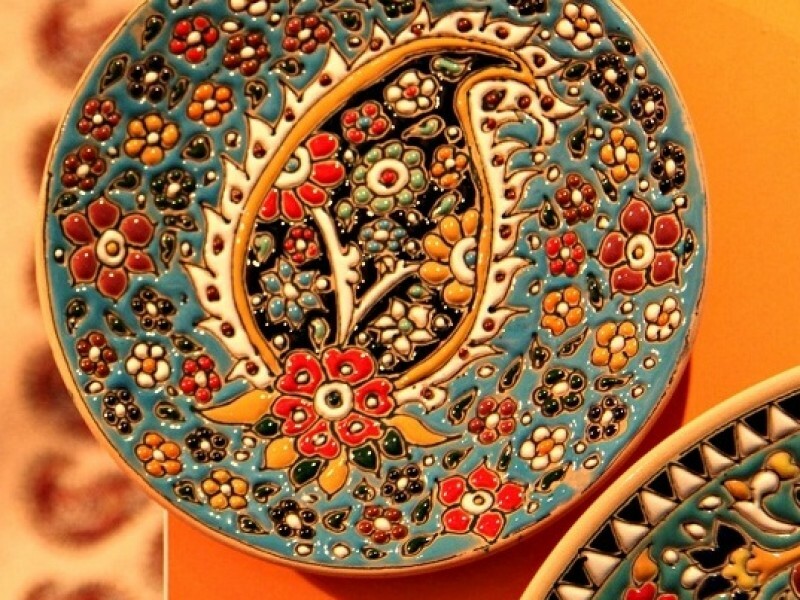 Common materials used in the construction of inlaid articles are gold, silver, brass, aluminum and twisted wire. 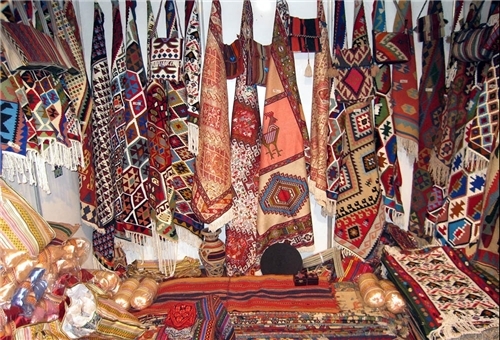 Carpets woven in towns and regional centers like Tabriz, Kerman, Mashhad, Kashan, Isfahan, Nain and Qom are characterized by their specific weaving techniques and use of high-quality materials, colours and patterns. 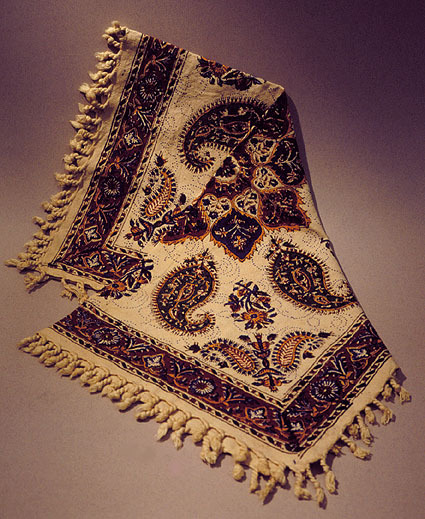 Town manufactories like those of Tabriz have played an important historical role in reviving the tradition of carpet weaving after periods of decline. 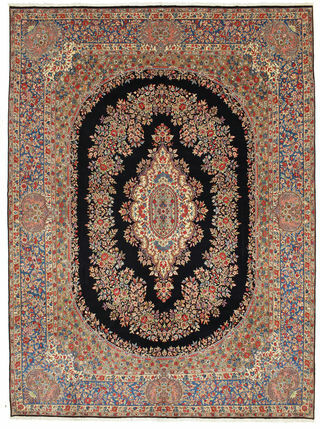 Rugs woven by the villages and various tribes of Iran are distinguished by their fine wool, bright and elaborate colours, and specific, traditional patterns. scrimshaw the removal of decorations and designs on metal objects, particularly copper, gold, silver, brass, or in other words create lines and patterns by pen and by hammering on metal objects. 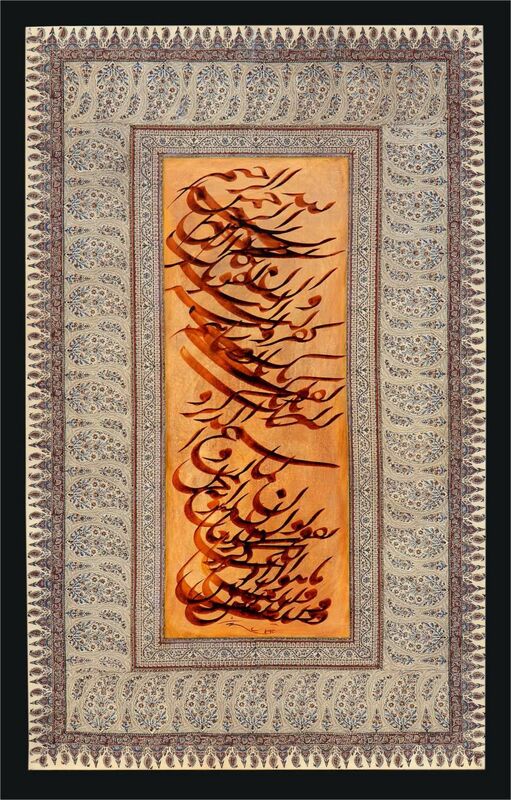 It is believed that ancient Persian script was invented by about 600–500 BC to provide monument inscriptions for the Achaemenid kings. 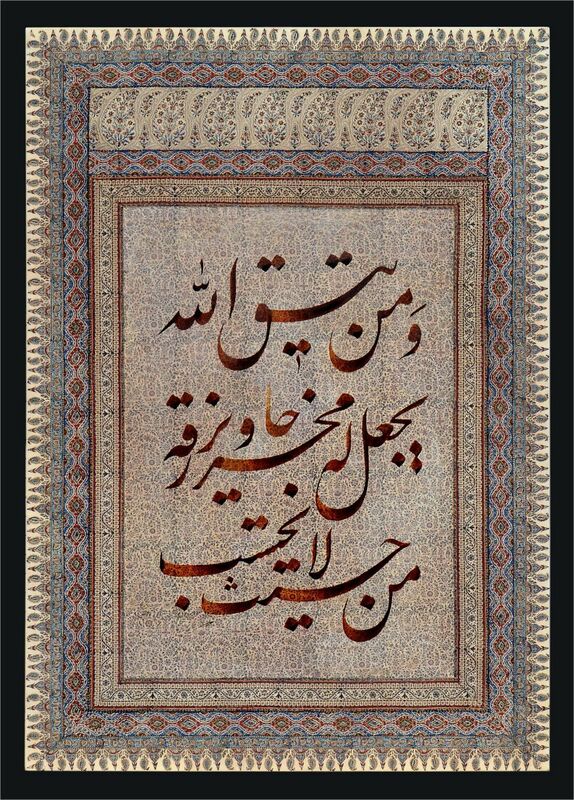 A Persian miniature is a small painting on paper, whether a book illustration or a separate work of art intended to be kept in an album of such works called a muraqqa. 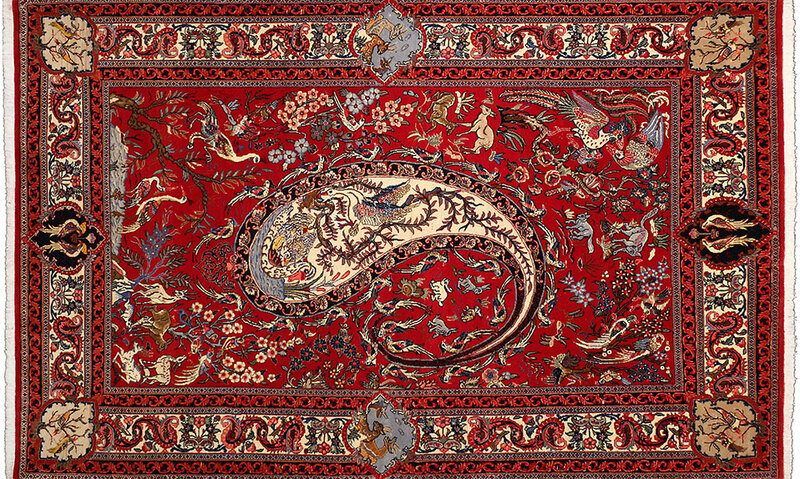 The techniques are broadly comparable to the Western and Byzantine traditions of miniatures in illuminated manuscripts. 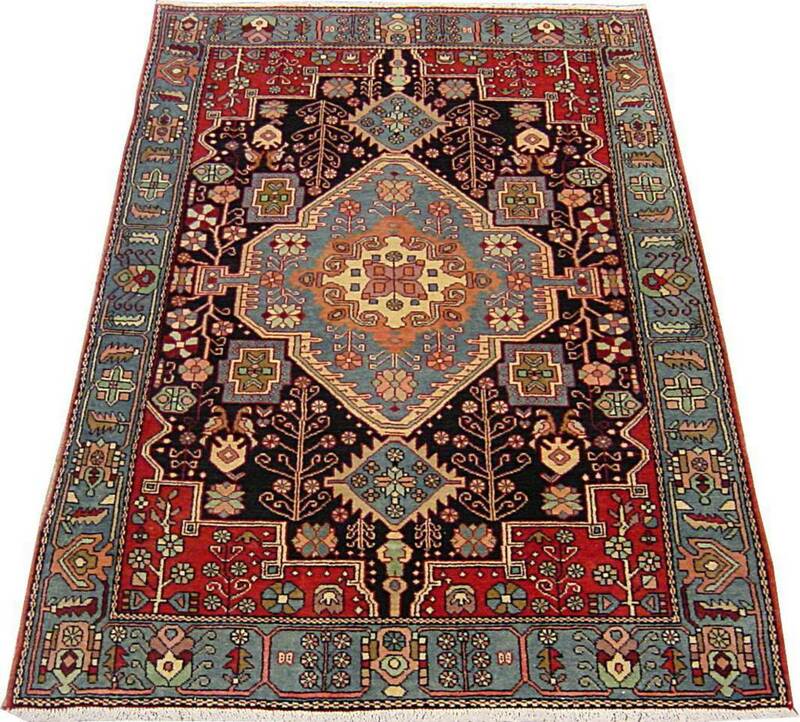 Turquoise is a non-vitreous stone, which differs in shade from blue, green and blue-green depending on its origin. 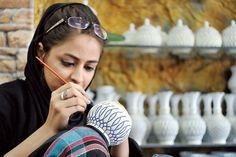 For at least 2,000 years, Iran, previously known as Persia in the West, has remained an important source of turquoise which was named by Iranians initially “pirouzeh” meaning “victory” and later after Arab invasion “firouzeh”. 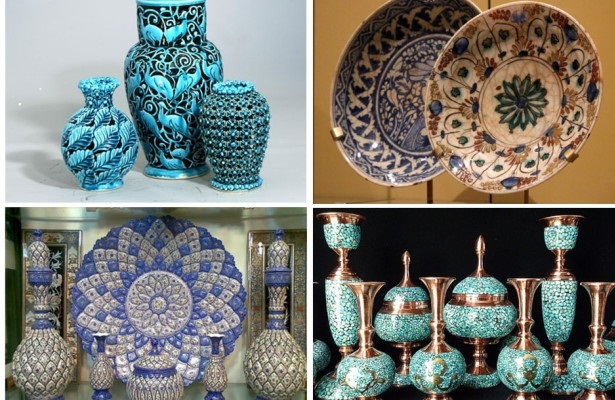 In Iranian architecture, the blue turquoise was used to cover the domes of the Iranian palaces because its intense blue colour was also a symbol of heaven on earth.